Changes In Marketing Functions Over The Years! To build an effective marketing strategy in order to lure customers was never easy. With the introduction of Internet there was a bit of change in every company’s marketing strategy. Previously, companies used to have print ads only but, when the Internet storm barged in, many businesses started to have online presence. And, then with the surge of social networking portals, multifunctional cell phones, and gadgets, the face of marketing again took a major makeover. In order to retain existing customers and to attract new ones, companies keep them updated about changes in marketing over the years and latest trends in marketing. 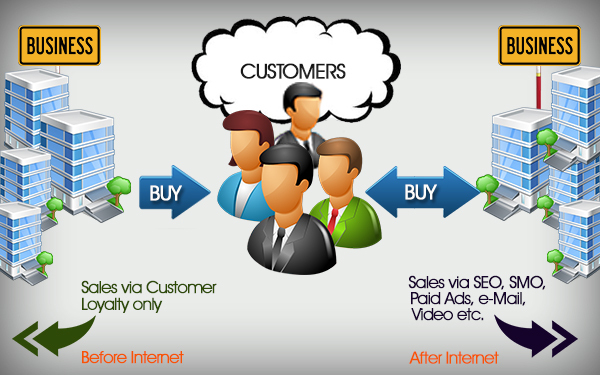 Internet and technology has not only benefited customers but also, created newer space for marketing in the virtual world. With the emergence of various other forms of marketing such as social media marketing, e-mail marketing, text/display ad marketing etc. companies have become more aggressive and innovative in building their marketing strategies to attract new customers. Gone are the old Days! A decade ago, creating personal relationship with customers was given utter importance to boost sales through one-to-one interaction. Consumers had to believe to what is being said. They did not bother to verify the information provided. But, the tables have turned now and the customer is full of information at the click of a finger. Study says, majority of Internet users today, tend to conduct a background research of a product before making a purchase decision. For example: what would you do first when you decide to purchase a smartphone for yourself? You will immediately jump on to the Internet and start comparing, reading reviews & feedback for a few of them before making a decision. Consumers have become more and more demanding and adventurous to try out different offerings which have eventually put greater emphasis on creating brand value. The gigantic online presence of consumers has revolutionized the way of advertising and marketing. An Internet user today can buy almost everything online today. Thanks to the Internet which has changed the way of trade and commerce. Businesses have started capitalizing the virtual world by forming networks which eventually allows them to get closer to their clients. New age marketing is not limited to banner ads on websites only but has extended beyond in the form of video marketing, blogging, campaigns on social networking websites, discussion forums etc. Internet has not only been a reliable source to gather information through interactions, polls and surveys but is also a great medium to keep marketers updated about consumer needs and taste. Search engines have been eminent in promoting a product/service. If you are not present in any of the search engines, it means that your business has lost reputation amongst your target audience. Different forms of Marketing help search engines to rank websites. Hence, companies are now focusing on marketing to boost sales. According to statistics; Twitter has assisted 42% companies present on its portal to bag new customers, Facebook has helped 67% B2C and 41% B2B companies to generate business, Inbound marketing will cost 62% cheaper than outbound marketing. This shows the intent for aggression among companies. Previously, companies had to rely on customer loyalty to prevail in the market. But, today if a company’s presence is not felt to customers then, possibility is more for competitors to climb over. This post briefly describes how the face of marketing has changed over the years and how important is marketing for a business. Marketing is not limited to just bigger profit making businesses only. Rather, it has turned out to be an important weapon for every business. Every business (big or small) is marketing itself today. Today, more people access web using mobile devices rather than desktops but do you really design websites to give visitors using mobile devices a good experience? A single design mistake that hinders the visitor from navigating effortlessly may also mean loss of a business prospect of your client. In coming up with design for mobile devices, there are things that one has to recognize before jumping into the planning method. Before starting anything, one should acquire ample information regarding the task at hand. 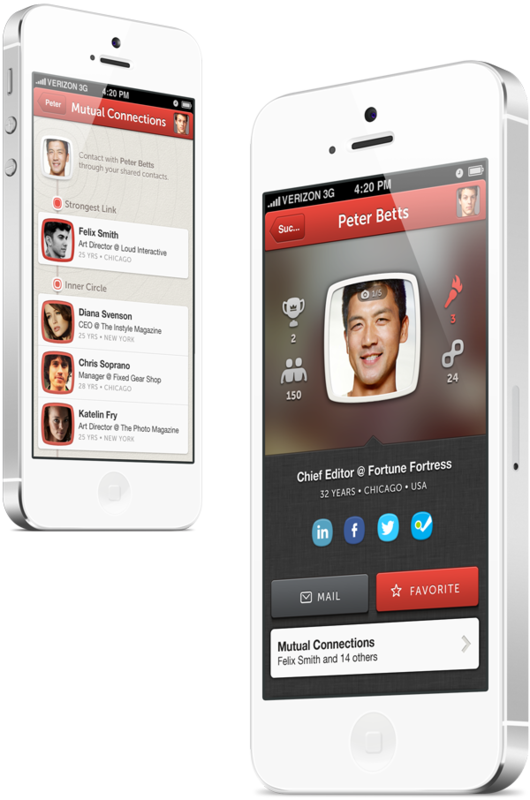 Google+ may not be turning out the “Facebook-Killer” many predicted it to be, but as of yet it has been sailing smoothly. 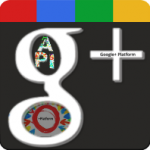 Providing API for developers was the next logical step and sure enough,yesterday it released Google+ API. Be it Facebook,Twitter or even Foursquare, nearly all successful social services provide development platform to facilitate developers build apps which eventually contributes to the success of the service. In fact Google is one of the earliest providers of Web APIs such as Search APIs,Google Maps API. This would definitely provide a boost to the 3-month old project which is now beginning to see decline in popularity after a period of rapid growth. From the looks of it, Google‘s latest foray into social web, in the form of +1 button might end up with same fate as its predecessors. In case you are unaware,it is the button at the top with +1 caption which according to Google official blog is digital shorthand for “this is pretty cool” is the search engine giant’s reply to Facebook “Like”. The fact that Google replies with a sentence like “this is pretty cool” to Facebook’s four letter “Like” may give us a rare insight on the mindset prevalent within Google’s team. The 2 character button itself may conform to the Web 2.0 trends,the descriptive sentence makes one wonder if they have embraced Web 2.0 with all their hearts or are just going along with the tide. This would also explain why Google continues to fail in getting a foothold in Social Web. Anyway, I am getting ahead of myself 😛 the pertinent to ask at this point of time is whether +1 is really going to be successful or not.